REAL MADRID are cooking up a swap deal for Tottenham star Dele Alli.The England international has emerged as a target for the Champions League winners after impressing for Spurs.The 21-year-old attacking midfielder is under contract until 2022 but that is not putting Real chiefs off.According to Spanish news outlet Don Balon, Alli is high on club president Florentino Perez’s transfer wish list. Perez dreams of strengthening Zinedine Zidane’s squad during the January transfer window. And he is plotting a swap deal involving fringe midfielder Mateo Kovacic. Kovacic, 23, has started just two games this term, and is behind Toni Kroos and Luka Modric in the pecking order. 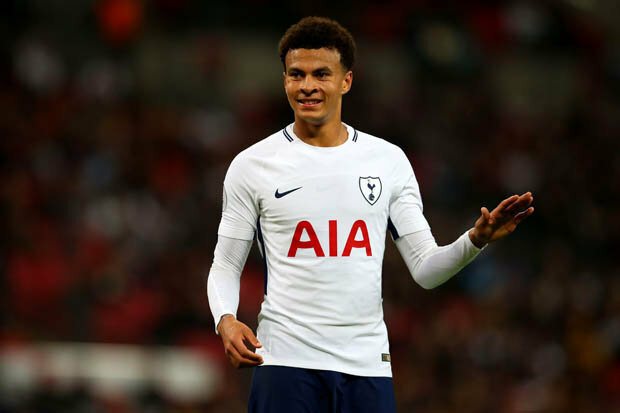 Tottenham are reluctant to lose Alli in the middle of the campaign.But Don Balon claim he fancies moving to the Bernabeu.A change of agents could indicate that Alli’s future lies away from Spurs. He is leaving Impact Sports Management and will now search for new representation. The Mirror claim Jorge Mendes, who deals with Cristiano Ronaldo, is eyeing him up.Paul Pogba’s agent Mino Raiola is also interested.